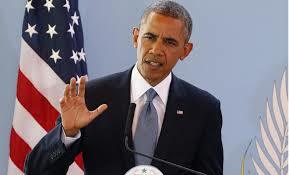 We are strong enough to be self-critical – President Barack Obama, USA. Then, his knapsack stocked with an apple, a toothbrush, a book on government – all you need for a night behind bars – John Lewis led them out of the church on a mission to change America. There are places, and moments in America where this nation’s destiny has been decided. Many are sites of war – Concord and Lexington, Appomattox and Gettysburg. Others are sites that symbolize the daring of America’s character – Independence Hall and Seneca Falls, Kitty Hawk and Cape Canaveral. Selma is such a place. In one afternoon fifty years ago, so much of our turbulent history – the stain of slavery and anguish of civil war; the yoke of segregation and tyranny of Jim Crow; the death of four little girls in Birmingham, and the dream of a Baptist preacher – met on this bridge. It was not a clash of armies, but a clash of wills; a contest to determine the meaning of America. And because of men and women like John Lewis, Joseph Lowery, Hosea Williams, Amelia Boynton, Diane Nash, Ralph Abernathy, C.T. Vivian, Andrew Young, Fred Shuttlesworth, Dr. King, and so many more, the idea of a just America, a fair America, an inclusive America, a generous America – that idea ultimately triumphed. We gather here to celebrate them. We gather here to honor the courage of ordinary Americans willing to endure billy clubs and the chastening rod; tear gas and the trampling hoof; men and women who despite the gush of blood and splintered bone would stay true to their North Star and keep marching toward justice. They did as Scripture instructed: “Rejoice in hope, be patient in tribulation, be constant in prayer.” And in the days to come, they went back again and again. When the trumpet call sounded for more to join, the people came – black and white, young and old, Christian and Jew, waving the American flag and singing the same anthems full of faith and hope. A white newsman, Bill Plante, who covered the marches then and who is with us here today, quipped that the growing number of white people lowered the quality of the singing. To those who marched, though, those old gospel songs must have never sounded so sweet. What enormous faith these men and women had. Faith in God – but also faith in America. The Americans who crossed this bridge were not physically imposing. But they gave courage to millions. They held no elected office. But they led a nation. They marched as Americans who had endured hundreds of years of brutal violence, and countless daily indignities – but they didn’t seek special treatment, just the equal treatment promised to them almost a century before. What they did here will reverberate through the ages. Not because the change they won was preordained; not because their victory was complete; but because they proved that nonviolent change is possible; that love and hope can conquer hate. As we commemorate their achievement, we are well-served to remember that at the time of the marches, many in power condemned rather than praised them. Back then, they were called Communists, half-breeds, outside agitators, sexual and moral degenerates, and worse – everything but the name their parents gave them. Their faith was questioned. Their lives were threatened. Their patriotism was challenged. And yet, what could be more American than what happened in this place? What could more profoundly vindicate the idea of America than plain and humble people – the unsung, the downtrodden, the dreamers not of high station, not born to wealth or privilege, not of one religious tradition but many – coming together to shape their country’s course? What greater expression of faith in the American experiment than this; what greater form of patriotism is there; than the belief that America is not yet finished, that we are strong enough to be self-critical, that each successive generation can look upon our imperfections and decide that it is in our power to remake this nation to more closely align with our highest ideals? These are not just words. They are a living thing, a call to action, a roadmap for citizenship and an insistence in the capacity of free men and women to shape our own destiny. For founders like Franklin and Jefferson, for leaders like Lincoln and FDR, the success of our experiment in self-government rested on engaging all our citizens in this work. That’s what we celebrate here in Selma. That’s what this movement was all about, one leg in our long journey toward freedom. It’s the idea held by generations of citizens who believed that America is a constant work in progress; who believed that loving this country requires more than singing its praises or avoiding uncomfortable truths. It requires the occasional disruption, the willingness to speak out for what’s right and shake up the status quo. That’s what makes us unique, and cements our reputation as a beacon of opportunity. Young people behind the Iron Curtain would see Selma and eventually tear down a wall. Young people in Soweto would hear Bobby Kennedy talk about ripples of hope and eventually banish the scourge of apartheid. Young people in Burma went to prison rather than submit to military rule. From the streets of Tunis to the Maidan in Ukraine, this generation of young people can draw strength from this place, where the powerless could change the world’s greatest superpower, and push their leaders to expand the boundaries of freedom. They saw that idea made real in Selma, Alabama. They saw it made real in America. Because of campaigns like this, a Voting Rights Act was passed. Political, economic, and social barriers came down, and the change these men and women wrought is visible here today in the presence of African-Americans who run boardrooms, who sit on the bench, who serve in elected office from small towns to big cities; from the Congressional Black Caucus to the Oval Office. Because of what they did, the doors of opportunity swung open not just for African-Americans, but for every American. Women marched through those doors. Latinos marched through those doors. Asian-Americans, gay Americans, and Americans with disabilities came through those doors. Their endeavors gave the entire South the chance to rise again, not by reasserting the past, but by transcending the past. What a glorious thing, Dr. King might say. What a solemn debt we owe. Which leads us to ask, just how might we repay that debt? First and foremost, we have to recognize that one day’s commemoration, no matter how special, is not enough. If Selma taught us anything, it’s that our work is never done – the American experiment in self-government gives work and purpose to each generation. Selma teaches us, too, that action requires that we shed our cynicism. For when it comes to the pursuit of justice, we can afford neither complacency nor despair. Just this week, I was asked whether I thought the Department of Justice’s Ferguson report shows that, with respect to race, little has changed in this country. I understand the question, for the report’s narrative was woefully familiar. It evoked the kind of abuse and disregard for citizens that spawned the Civil Rights Movement. But I rejected the notion that nothing’s changed. What happened in Ferguson may not be unique, but it’s no longer endemic, or sanctioned by law and custom; and before the Civil Rights Movement, it most surely was. We do a disservice to the cause of justice by intimating that bias and discrimination are immutable, or that racial division is inherent to America. If you think nothing’s changed in the past fifty years, ask somebody who lived through the Selma or Chicago or L.A. of the Fifties. Ask the female CEO who once might have been assigned to the secretarial pool if nothing’s changed. Ask your gay friend if it’s easier to be out and proud in America now than it was thirty years ago. To deny this progress – our progress – would be to rob us of our own agency; our responsibility to do what we can to make America better. Of course, a more common mistake is to suggest that racism is banished, that the work that drew men and women to Selma is complete, and that whatever racial tensions remain are a consequence of those seeking to play the “race card” for their own purposes. We don’t need the Ferguson report to know that’s not true. We just need to open our eyes, and ears, and hearts, to know that this nation’s racial history still casts its long shadow upon us. We know the march is not yet over, the race is not yet won, and that reaching that blessed destination where we are judged by the content of our character – requires admitting as much. This is work for all Americans, and not just some. Not just whites. Not just blacks. If we want to honor the courage of those who marched that day, then all of us are called to possess their moral imagination. All of us will need to feel, as they did, the fierce urgency of now. All of us need to recognize, as they did, that change depends on our actions, our attitudes, the things we teach our children. And if we make such effort, no matter how hard it may seem, laws can be passed, and consciences can be stirred, and consensus can be built. With such effort, we can make sure our criminal justice system serves all and not just some. Together, we can raise the level of mutual trust that policing is built on – the idea that police officers are members of the communities they risk their lives to protect, and citizens in Ferguson and New York and Cleveland just want the same thing young people here marched for – the protection of the law. Together, we can address unfair sentencing, and overcrowded prisons, and the stunted circumstances that rob too many boys of the chance to become men, and rob the nation of too many men who could be good dads, and workers, and neighbors. With effort, we can roll back poverty and the roadblocks to opportunity. Americans don’t accept a free ride for anyone, nor do we believe in equality of outcomes. But we do expect equal opportunity, and if we really mean it, if we’re willing to sacrifice for it, then we can make sure every child gets an education suitable to this new century, one that expands imaginations and lifts their sights and gives them skills. We can make sure every person willing to work has the dignity of a job, and a fair wage, and a real voice, and sturdier rungs on that ladder into the middle class. And with effort, we can protect the foundation stone of our democracy for which so many marched across this bridge – and that is the right to vote. Right now, in 2015, fifty years after Selma, there are laws across this country designed to make it harder for people to vote. As we speak, more of such laws are being proposed. Meanwhile, the Voting Rights Act, the culmination of so much blood and sweat and tears, the product of so much sacrifice in the face of wanton violence, stands weakened, its future subject to partisan rancor. How can that be? The Voting Rights Act was one of the crowning achievements of our democracy, the result of Republican and Democratic effort. President Reagan signed its renewal when he was in office. President Bush signed its renewal when he was in office. One hundred Members of Congress have come here today to honor people who were willing to die for the right it protects. If we want to honor this day, let these hundred go back to Washington, and gather four hundred more, and together, pledge to make it their mission to restore the law this year. Of course, our democracy is not the task of Congress alone, or the courts alone, or the President alone. If every new voter suppression law was struck down today, we’d still have one of the lowest voting rates among free peoples. Fifty years ago, registering to vote here in Selma and much of the South meant guessing the number of jellybeans in a jar or bubbles on a bar of soap. It meant risking your dignity, and sometimes, your life. What is our excuse today for not voting? How do we so casually discard the right for which so many fought? How do we so fully give away our power, our voice, in shaping America’s future? Fellow marchers, so much has changed in fifty years. We’ve endured war, and fashioned peace. We’ve seen technological wonders that touch every aspect of our lives, and take for granted convenience our parents might scarcely imagine. But what has not changed is the imperative of citizenship, that willingness of a 26 year-old deacon, or a Unitarian minister, or a young mother of five, to decide they loved this country so much that they’d risk everything to realize its promise. For we were born of change. We broke the old aristocracies, declaring ourselves entitled not by bloodline, but endowed by our Creator with certain unalienable rights. We secure our rights and responsibilities through a system of self-government, of and by and for the people. That’s why we argue and fight with so much passion and conviction, because we know our efforts matter. We know America is what we make of it. We are Lewis and Clark and Sacajawea – pioneers who braved the unfamiliar, followed by a stampede of farmers and miners, entrepreneurs and hucksters. That’s our spirit. We are Sojourner Truth and Fannie Lou Hamer, women who could do as much as any man and then some; and we’re Susan B. Anthony, who shook the system until the law reflected that truth. That’s our character. We’re the immigrants who stowed away on ships to reach these shores, the huddled masses yearning to breathe free – Holocaust survivors, Soviet defectors, the Lost Boys of Sudan. We are the hopeful strivers who cross the Rio Grande because they want their kids to know a better life. That’s how we came to be. We’re the slaves who built the White House and the economy of the South. We’re the ranch hands and cowboys who opened the West, and countless laborers who laid rail, and raised skyscrapers, and organized for workers’ rights. We’re the fresh-faced GIs who fought to liberate a continent, and we’re the Tuskeegee Airmen, Navajo code-talkers, and Japanese-Americans who fought for this country even as their own liberty had been denied. We’re the firefighters who rushed into those buildings on 9/11, and the volunteers who signed up to fight in Afghanistan and Iraq. We are the gay Americans whose blood ran on the streets of San Francisco and New York, just as blood ran down this bridge. We are storytellers, writers, poets, and artists who abhor unfairness, and despise hypocrisy, and give voice to the voiceless, and tell truths that need to be told. We are the inventors of gospel and jazz and the blues, bluegrass and country, hip-hop and rock and roll, our very own sounds with all the sweet sorrow and reckless joy of freedom. That’s what America is. Not stock photos or airbrushed history or feeble attempts to define some of us as more American as others. We respect the past, but we don’t pine for it. We don’t fear the future; we grab for it. America is not some fragile thing; we are large, in the words of Whitman, containing multitudes. We are boisterous and diverse and full of energy, perpetually young in spirit. That’s why someone like John Lewis at the ripe age of 25 could lead a mighty march. And that’s what the young people here today and listening all across the country must take away from this day. You are America. Unconstrained by habits and convention. Unencumbered by what is, and ready to seize what ought to be. For everywhere in this country, there are first steps to be taken, and new ground to cover, and bridges to be crossed. And it is you, the young and fearless at heart, the most diverse and educated generation in our history, who the nation is waiting to follow. Because Selma shows us that America is not the project of any one person. Because the single most powerful word in our democracy is the word “We.” We The People. We Shall Overcome. Yes We Can. It is owned by no one. It belongs to everyone. Oh, what a glorious task we are given, to continually try to improve this great nation of ours.